I have tested Bank Nifty straddle strategy with historical weekly bank nifty options data. We know that writing options involves higher capital and higher risk(if not hedged), any overnight news could increase volatility and affect our positions. Hence, I considered a Intraday Option writing strategy that too only on expiry day. Since its intraday position, margin required would be considerably lesser. Check what is the Bank Nifty Spot?—?Open price on Expiry day. round off the value to nearest 100. That gives you the CE & PE strikes. Enter at Open and Exit at End of the day. I have pulled up the Bank Nifty weekly options historical data since 2016( from the time weekly options introduced) and calculated the result. From 2016 to 2018 April, this strategy has given total profits of Rs.108204. The required capital/margin to initiate this trade is around Rs.50,000 (as its a MIS-intraday position) and you need to have additional Rs.50,000 to handle the drawdowns. So in total an investment of Rs.1,00,000 has yielded 100% returns. Looks, good? Yes, and its a good strategy provided you have the right mindset to withstand the drawdowns. You could see your capital fluctuating downside as much as 30 to 40%. So Intraday Short Straddle strategy with Bank Nifty weekly option on expiry day is a profitable strategy. Proven with historical data. But remember, we are in low volatility environment currently, may be that’s why option writers make good returns now, am not sure what would have been the result if there was a year like 2008. (crazy volatile period). You can download the backtest report here. 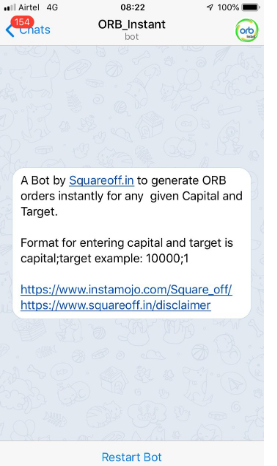 Follow us on Telegram Channel to get constant updates on research info related to Indian markets.